The family consensus is that we have no idea where this photo was taken. I do think it was taken sometime around 1991 as my sister Colleen was born in 1988 and appears to be about 3 years old. Wearing her watermelon shirt, she’s pretty content hanging out with my dad. 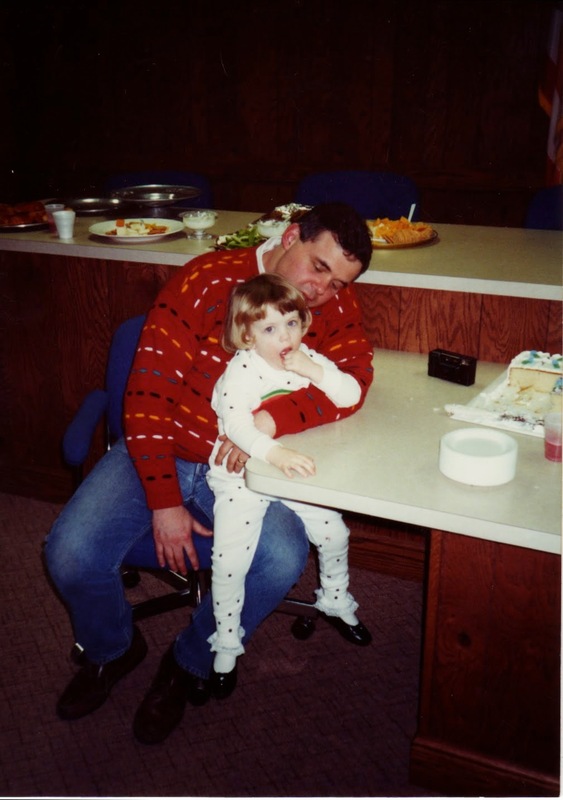 Patrick Lowry and daughter Colleen Lowry, photograph, taken at unknown location, in about 1991; digital image, photocopy of original, scanned in 2013 by Joseph Lowry; privately held by Patrick Lowry, [address for private use], Poland, Ohio. Daughter sitting on father’s lap at table. Provenance is Patrick Lowry to Joseph Lowry. 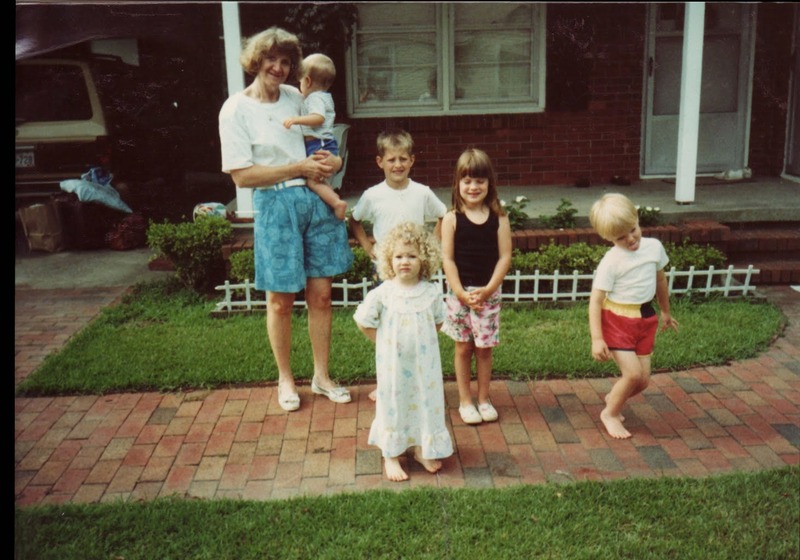 This is all of my first cousins except two, who were not yet born when this photo was taken. In the back are Kelly and JP Heydle, Laura Lowry, me, my sister Caroline, Michael Lowry, and Katie Lowry. 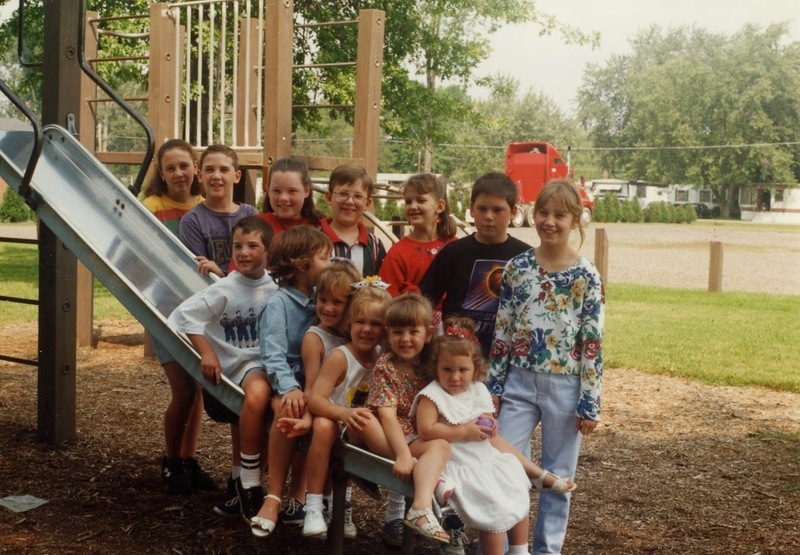 On the slide are James Lowry, Sara Lowry, Jeannie and Jen Kroynovich, my sister Colleen and Kaitlyn Lowry. It took me typing this caption to realize that we are all arranged in order of age. The youngest person in this picture, Kaitlyn, is 23 years old, making this photo about 20 years old. The Lowry cousins, photograph, taken at unknown location around 1994; digital image, photocopy of original, scanned in 2013 by Joseph Lowry; privately held by Mary McCaffrey, [address for private use], Canton, Ohio. Thirteen children standing on and around a slide. Provenance is Mary McCaffrey to Joe Lowry.